“Nick Rippington, self-published author, this is your life.” Oh! Sorry I got carried away there thinking I was live in a TV studio 🙂 Only people of a certain age and of British heritage will ‘get’ the reference. NICK RIPPINGTON is one of the victims of the News of the World phone-hacking scandal you don’t hear about. Proudly employed by the newspaper as Welsh Sports Editor, he was made redundant with two days notice when Rupert Murdoch closed it down. On holiday at the time, Nick was never allowed back into the building, investigators seizing his computer to learn the secrets of his Fantasy Football teams. Handed the contents of his desk in a black bin bag in a Wapping car park, Nick was at a crossroads when he came up with the idea for his debut novel. After four years painstaking writing and research, Crossing The Whitewash celebrated its first birthday on August 1. 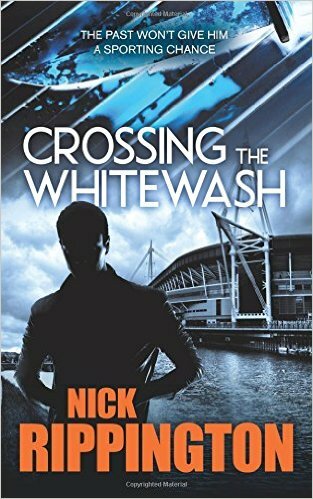 It’s an urban suspense thriller in which gangland London collides with rugby-mad Wales in the build up to the World Cup. Meanwhile, Nick hasn’t given up the day job yet. He now works as one of Richard Desmond’s minions on the Daily Star and Daily Star Sunday. 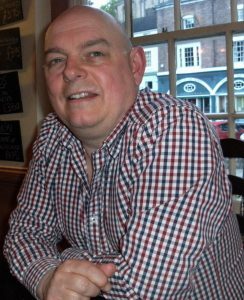 A former Executive Editor at Media Wales in Cardiff, in his spare time Nick writes a blog Frankie Prince’s Bovver Boots, which records the trials and tribulations of his favourite football team Bristol Rovers. It is published on the Bristol Post website. Married with two children, Nick lives near Ilford, Essex. Writing is as natural as breathing to me. I can far better express myself with the written word than when I talk. My mother Muriel gave me the bug. When I was young she used to say she was going to publish a children’s book and read me excerpts from her own invention Mr Balloon Man, who travelled to exciting places in a hot air balloon. Unfortunately she never realised her dream and died of cancer when I was 21. I wrote articles for my primary school newspaper in Bristol, the Elm Park Ranger, and was the only person who got permission to be away from class when the school football team played. They didn’t want me in the team, they just wanted someone to do the match report! Sport was my first love and I eventually became a sports journalist. Like most journalists, though, I always felt I had a book in me. When Crossing The Whitewash was published I dedicated it first and foremost to my mum. When I wrote Crossing it was never intended to be part of a series, but so many people have read it and said they wanted to know more. One of my main characters, a rather nasty gangster called Arnie Dolan, has quite a back story and a lot of questions are unanswered. I decided to take a look at his career criminal father Big Mo Dolan and mother Beryl and the things that happened leading up to Arnie’s birth. It’s a prequel which takes place around the time of the Falklands War. While Mo is planning a big Post Office robbery, his younger brother is off to fight in the South Atlantic. It is about relationships, basically. I’m just finishing the first draft. I remember the early 80s quite well, staying up late to see the Defence Ministry’s cardboard cut-out spokesman Ian McDonald coming on and delivering deadpan the news the Belgrano had been sunk, and all the jingoistic newspaper headlines like “Gotcha!” in the Sun. Post Office robberies were all the rage at the time, too, so it was just a case of drawing on my memories then doing some research. The inspiration came from a small thing really: I’d mentioned the Brinks’-Mat robbery in the first book and it got me looking into other things happening at that time. My life’s timetable runs parallel with sport, and I remember the 1982 World Cup in Spain, too, which gets a few references. WHICH WRITERS HAD MOST INFLUENCE ON YOUR DECISION TO WRITE? Not necessarily the most famous ones. Ira Levin is my all-time favourite because of his ability to shock you and produce twists you weren’t expecting. The Boys From Brazil, Stepford Wives, A Kiss Before Dying, This Perfect Day, Rosemary’s Baby – all very different but brilliant in their own right. Also, there was a guy called Gordon Stevens, an investigative journalist, television producer and director who wrote eight action thrillers based around things like the Bosnian War and terrorism, “Kara’s Game’ being my favourite. I loved his precise, short sentences which built up the tension so well. The way he developed his stories made me think: I want to do that. There are many others. For research purposes it was Tumbledown: When the fighting is over, the story of Lt Robert Lawrence MC of the Scots Guards, who suffered an horrific head injury in the Falklands and was lucky to survive. It was about his battle after the war to put his life back on track with little help from the army to which he had dedicated himself. My character Clive Dolan fights with the Scots Guards at Tumbledown. No. There are times when I do everything BUT write, messing around on social media etc, but once I settle down something always comes. It might be rubbish and I might have to rip it up a day later, but normally when I am in the zone it flows. I’m a touch typist which helps and I am also used to working to newspaper deadlines. Not being able to get my work into the big bookstores like Waterstones, WH Smiths and Foyles. I wrote to Waterstones before the World Cup last year saying that I had a unique Rugby World Cup thriller which might sell well around the time of the tournament. They made me jump through a few hoops, set up an agreement with a wholesaler etc, then I heard nothing back from them. Foyles had opened a branch in Bristol not that long ago and I explained to their buyers I was a Bristolian author, who also had a good following on the Post website… again, nothing. 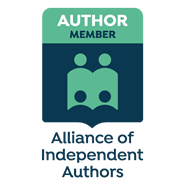 Even Rachel Abbott, one of the huge successes when it comes to Indie Authors, says there is still a snobbery about the industry. I enlisted with Net Galley for six months. It was very expensive but when they send out an email about your book to hundreds of reviewers, educators, bookstore owners and librarians you are guaranteed some sort of response. Not everyone who downloaded the book even bothered to review it, which was disappointing, but the ones that did really gave me a huge confidence boost. People I didn’t even know were reviewing it and giving it great marks… they also put those reviews on Goodreads and Amazon and I was able to use some of those quotes on the back of the book when I re-did the sleeve. I’m now looking at contacting reviewers individually by checking out similar books in my genre on Amazon and seeing if any of the top reviewers have links where I can contact them and offer a free book. DO YOU USE SOCIAL MEDIA? DO YOU LIKE USING IT? I use it far too much. To get the best out of it – particularly twitter – you must have some kind of formula. You can’t just shout ‘me, me, me’ because everyone is doing the same. You have to be nice to people, and retweet their stuff, and actually hold conversations with them and build up a relationship. Facebook is mainly for staying in touch with friends but is great for putting out links to your blog posts etc, while I haven’t found much benefit in the others. It is so time consuming. With Instagram, for instance, it seems to me people click and “like” your pictures but forget about them… and you… in a second. And LinkedIN? What is the point of that? Corporate nonsense. My Dad. I was worried about him reading the book, because of all the swearing! He’s 91 and has always been a great role model. He has a CBE for his services to the Health Service. He says what he thinks. Because he had been ill he had completely stopped reading books because they tired him out. Then mine came out and I presented it to him, thinking he wouldn’t read it. “I’ve already read it,” he told me. My auntie had bought a copy and given it to him. “It’s like reading a real book.” Funny, but I know what he meant. He loves thrillers and he meant it was like reading a Forsyth or a Rankin… which is fine by me. MANY PEOPLE HAVE A BUCKET LIST. WHAT IS YOURS? I’ve been very lucky. With my journalism connections I’ve travelled around the world – well, at least to the places that really interest me. I wanted to do a full Ashes cricket tour and I did one back in 2006/07. England lost every game! My bucket list mainly involves seeing my children progress and be happy and do what they want, and grow up in a world where people can get on and aren’t always trying to kill each other, or target innocent people. ANY SPECIAL MESSAGES FOR YOUR READERS? Only joking: It would be: bear with me. Hopefully there will be a new book out before too long. Nick Rippington, thank you! That was an interesting and entertaining interview. I am sure you will hear people talk about your books on the tube one day soon.